The cold front has me craving warm porridge in the morning and I thought I should make a nice savory one for dinner too. This recipe adds in whole grain teff to a traditional savory steel-cut oat. 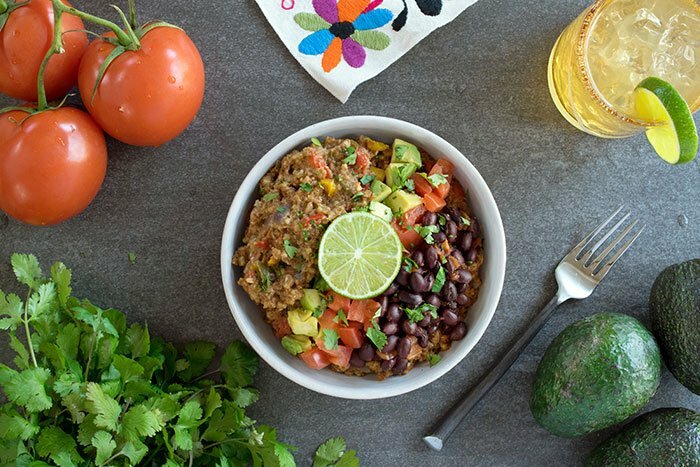 This Savory Southwest Teff and Steel-Cut Oats makes a great base for a 1 bowl meal, but can be stuffed inside a burrito too! Have you tried savory porridge? What’s your go-to flavor? I love mine with smoked paprika, chili powder, and nutritional yeast like the recipe below. Here’s a versatile, savory dish made with oats and teff that will blow your mind and change your dinners! As a side dish, it’s the perfect companion for steamed veggies or served with beans and a burrito for a complete meal. Try using some as the main component to tacos, and you’ll be pleasantly surprised, too. My favorite way to use it is as the base for a southwestern inspired bowl. 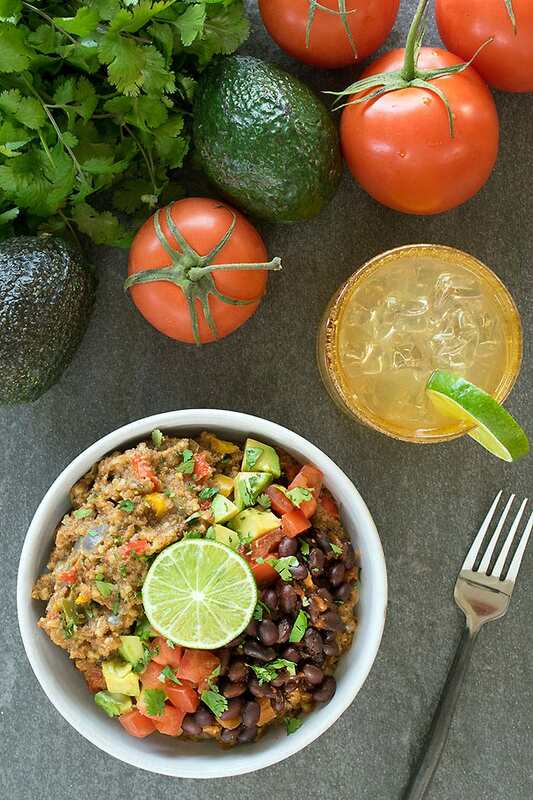 Just top with beans tossed in your favorite salsa and all the fresh veggie fixings. 2/3 cup Maskal Brown Teff ivory will work too! Lightly toast the teff and oats in a saute pan over medium-low heat until you notice a nutty fragrance, about 3 to 4 minutes. Set aside for a later step. Heat the oil (or water if you’re making this oil-free) into a Dutch Oven or saucepan over medium heat. Once hot, add the onion and saute until translucent. Stir in the bell pepper and garlic. Cook until the bell peppers soften, then add the cumin, smoked paprika, and chili powder. Saute until the spices become fragrant. Add the 3 cups of water or broth and the toasted teff and oats to the sauteed vegetable mixture. Bring to a boil, then turn the heat to low and simmer while stirring often for about 15 minutes. If it cooks a bit dry before the oats are tender, add the additional ½ cup water or broth. 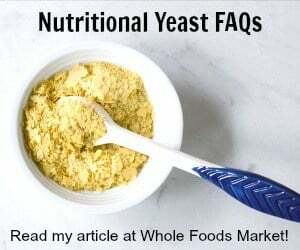 Once done, remove from heat and stir in the nutritional yeast. Add salt and pepper to taste and serve as a side or the bottom of a dinner bowl slathered with your favorite toppings. I love that this is made with teff! I only every used it to make injera and cookies. This sounds delicious and so hearty! I’m all about a savory breakfast. I just had this at a Teff class. It is fantastic! Do you think you could cook in the instant pot? If so any idea of the time?